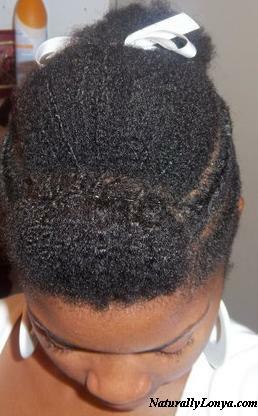 This is the article I wrote and the video I made about my big chop (BC) back in July 2010. I could not believe that I actually made it a whole year without a relaxer, or the fact that I was now totally natural. There I was out for the world to see! Big Chopping (BC) is really a freeing experience. Well, I finally did it after a year of transitioning to natural hair, I BC'd. It was a very emotional event which was somewhat surprising to me since I have been waiting with great anticipation for an entire year! I was scared, happy, nervous, and thrilled. I really just have a wave of emotion going through me just about every minute of the day. I was so obsessed with my hair this past weekend that I told friends and family that I can't talk about hair for at least a week! For those of you who just BC'd or are wearing your natural hair out for the first time know what I'm talking about. I feel so "naked", out in the world for everyone to see! Just kind of unsure of myself. I BC'd Friday July 19, 2010 and my last relaxer was July 9, 2009. I feel so free and ready for the world! -Yes, I know that may sound like a contradiction but again I have a roller coaster of emotion going through me! My Big Chop Hair Style! Before you Big Chop...How to start on your path to become natural! The braid out did not last so the next day I did a double hump and that's how I've been wearing my hair. How do you like it?!? Stay tuned for more of my natural hairstyles. I think I'm going to do mostly low manipulation and protective styles-that way my styles can last and my hair can stay healthy and thick. Oh by the way I have the kinkiest hair type 4a/4b. Hey there may even be some 4c in there...LOL! I'm in love with my hair and I'm thankful God bless me with such a thick head of hair!